The bishop of Providence, Rhode Island, also says the voting approach of the Synod "strikes me as being rather Protestant." In trying to accommodate the needs of the age, as Pope Francis suggests, the Church risks the danger of losing its courageous, counter-cultural, prophetic voice, a voice that the world needs to hear. The concept of having a representative body of the Church voting on doctrinal applications and pastoral solutions strikes me as being rather Protestant. Have we learned that it’s probably not a good idea to publish half-baked minutes of candid discussions about sensitive topics, especially when we know that the secular media will hijack the preliminary discussions for their own agendas? Wherever he serves, Cardinal Burke will be a principled, articulate and fearless spokesman for the teachings of the Church. Pope Francis is fond of “creating a mess.” Mission accomplished. One hopes, of course, that the goal was not to create a mess. One admits, however, that what transpired was messy and more. 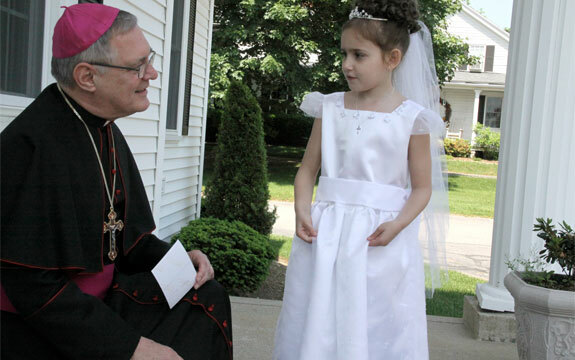 Read Bishop Tobin’s entire post. 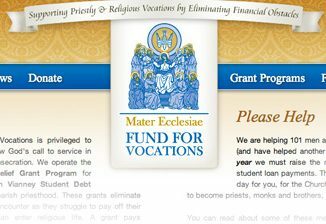 Got Debt and a Religious Vocation?